Breakfast has a new dimension. Every morning, we habitually watch a news channel to learn what happened while we were blissfully asleep. In particular, we are most curious these days to find out what hair-raising nonsense Benito Mussolini – oops, no, what was his name? Donald or something – has come up with in the last few hours. And very rarely will we be disappointed and either laugh out loud or shake our heads in bewilderment. Obviously, we do realize many of the truly negative implications right away, but how else can you respond to all of that other than with venomous sarcasm? That the new US administration would cause havoc also for US wildlife I had forecast and, sadly, it’s starting to prove true now. It was clear that it would make opponents of nature conservation crawl out of their holes and try and use the opportunity to push their anti-wildlife pro-huntsmen bills. Our International News section below is full of the first ridiculous to outright barbaric proposals that have sprung up within the past few weeks. Fortunately there are (now more than ever) organisations that coordinate public protest and fight these with legal means. And considering how popular this joker at the helm has made himself already, many a judge will probably like nothing better than an opportunity to shoot his and his helpers’ ideas down. We found another dark wolf tale that we share with you here, and Erin updates us on the latest that has been happening in her mixed pack. The HuskyRomi Wolf Sanctuary’s 2017 Calendar can now be ordered. It is R 50 and all proceeds will go straight to the sanctuary. P&P not included. USA: Keep up the Fight for lobos! She never had a name, but she was known and loved around the world. …but then she was shot and killed just a few miles outside the Yellowstone National Park boundary – after the death of their matriarch Yellowstone’s Lamar Canyon pack was thrown into chaos. When the U.S. Fish and Wildlife Service wrongly delisted Wyoming’s wolves in 2012, we went to court because the state’s wolf plan declared more than 80% of Wyoming a ‘predator zone,’ where anyone could kill as many wolves as they wanted at any time. And we won, but the case took two years. While the case was pending, 832F and more than 200 other Wyoming wolves were killed. I think you know the threats to wolves and other wildlife have never been greater than they are today. The incoming Trump administration and the extremist-dominated Congress have rung the dinner bell for developers, ideologues, and others who see wildlife either as nuisances or fit only for target practice. It’s up to you and me to stop them! We must do everything we can to fight this legislation! I’m counting on your help today. USA: Wolves and other wildlife – beware! From January 20th, things have been going from bad to worse for wolves and other wildlife. The Trump administration is a who’s who of climate change-denying oil and gas boosters and special interests. And, extremists in Congress are embarking on a ruthless campaign to turn the clock back on wildlife protection. I won’t lie. Animals will die in alarming numbers if the extremists get their way. I know you share you my love for wildlife. And you’ve been an important ally in protecting wolves, grizzlies and other wild things we love. And, now’s a particularly good time to do this. Our Board of Directors and National Council have offered to donate $100 for each member who donates $15 or more monthly, up to $25,000. We’ve seen that President-elect Trump views most things as resources to be exploited. And the ideologues and the oil barons he has named to his cabinet have their own agendas. As a monthly sustainer, your support provides a steady, reliable source of contributions as we fight habitat loss and threats to wildlife. What will happen to wolves in the lower 48 if stripped of all Endangered Species Act protection? What will happen to dwindling African elephant populations if the doors are thrown open for importing illegal ivory? What will happen to polar bears and other animals if the Arctic National Wildlife Refuge and other precious wild habitats are opened for drilling, fracking and mining? These are real threats, just some of the many we are sure to face in the months and years ahead. But your monthly donation will give us the resources we need to defend wildlife from the mounting threats they face. Not everyone shares the commitment to wildlife that you and I do. This is the moment when those of who care must do everything possible. Congress is once again taking aim at our beloved wolves. A companion bill to H.R. 424, the House bill introduced by Liz Cheney of Wyoming to strip wolves in Michigan, Minnesota, Wisconsin and Wyoming of all protection under the Endangered Species Act (ESA), was just introduced in the Senate. One thing is for certain: If this bill is enacted, more wolves will die. This bill would return wolf management in Wyoming to the state, which had previously allowed for unregulated, shoot-on-sight killing of wolves in a “predator zone” that encompasses over 80% of the state. We are very concerned that a number of pro-conservation Senators have signed onto this bill because we need as much support for the ESA as possible this Congress. These decisions are supposed to be about science, not politics. When Congress intervenes, animals die. The state of Alaska refuses to give up on its relentless quest to kill wolves, bears and other wildlife by baiting, snaring and shooting mother bears with cubs and wolves with pups. We’re pulling out all the stops to defend these animals and end the madness. You might recall that the U.S. Fish and Wildlife Service passed regulations last year specifically outlawing Alaska’s excessive and extreme attacks on predators on national wildlife refuges and preserves. But Alaska is fighting back. They recently filed a lawsuit in federal court to overturn these regulations. And now the Alaska delegation has introduced legislation in Congress to accomplish the same goal. We’re fighting a war on two fronts. Thanks to you, Defenders’ is going to court and filing a motion to intervene to try to stop this deadly lawsuit. And on Capitol Hill, we’re gathering opposition to this crude effort to replace science with politics – but we need you! Wolves, bears and other Alaska carnivores are once again in grave danger. Congress is trying to revoke a regulation that protects wolves and other predators on national wildlife refuges in the state. If Congress succeeds, Alaska will be allowed to authorize extreme killing methods such as shooting mother bears with cubs and killing wolves with pups. Anti-wildlife Members of Congress are using an obscure law called the Congressional Review Act to toss aside a U.S. Fish and Wildlife Service (FWS) regulation that restricts these gruesome methods of “predator control” on Alaska national wildlife refuges. Perhaps even worse, voiding this rule would slam the door on any future regulations that aim to conserve these predators on refuge lands. Alaska wants to kill these animals to artificially inflate game populations so hunters have more animals to shoot. Alaska’s scheme targets wolves and bears through extreme methods including killing mother bears and cubs, killing wolves and pups in their dens, trapping, baiting and using airplanes to scout and shoot bears. This resolution opens federal refuge lands that belong to all of us to this despicable predator control program – and it will be voted on this week! Alaska’s egregious predator control program is a backwards attempt to artificially inflate game populations and clearly violates the letter and spirit of the National Wildlife Refuge System to conserve biological integrity and diversity for wildlife on refuges. Thanks for all you do for the wildlife we all love. www.azgfd.gov/wolf or by visiting the U.S. Fish and Wildlife Service website at www.fws.gov/southwest/es/mexicanwolf. 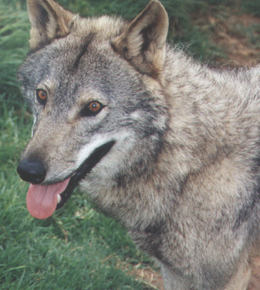 To view semi-monthly wolf telemetry flight location information please visit http://bit.do/mexicanwolf or www.fws.gov/southwest/es/mexicanwolf/RWL.cfm. 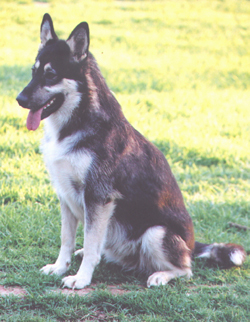 Genetic results from a male pup, mp1561, in the Leopold Pack indicate that the breeding female of the Leopold Pack is AF1346; a pup cross-fostered into the Dark Canyon Pack in 2014. This confirms the first instance of a Mexican wolf cross-fostered into a wild den surviving to and successfully reproducing offspring. This is a significant accomplishment in recovery efforts to increase genetic diversity in the wild population through cross-fostering efforts. 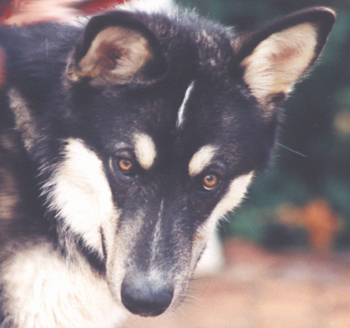 M1347 of the Baldy Pack was also cross-fostered into the Dark Canyon pack in 2014. M1347 has survived to reproductive age and has paired with f1445 which was named the Baldy Pack by the IFT in September 2016. On December 1, 2016, the Mexican Wolf/Livestock Council met to discuss requests for depredation compensation that varied from the depredation compensation guidelines. The Council also discussed how they would use estate funds that were provided to the National Fish and Wildlife Foundation for conservation of the Mexican wolf. On December 6, 2016, the Fish and Wildlife Service gave a recovery award to Chairman Lupe of the White Mountain Apache Tribe for their exceptional contributions to the Mexican Wolf Recovery Program. The Mexican wolf population on the 1.6 million-acre Fort Apache Indian Reservation has grown and now contributes substantially to the overall recovery of the Mexican wolf. Over fifteen years ago, the White Mountain Apache Tribe became the first tribe to officially facilitate Mexican wolf recovery. Population monitoring requires year round effort documenting births, deaths, survival, total numbers, and distribution. Mortality occurs throughout the year and is particularly high on young pups, so while the IFT has documented reproduction this year, the IFT will not have a complete idea of how many of these young pups and adults have died until the annual population survey which is conducted in the winter. Annual surveys are conducted in the winter because it is when the population is experiencing the least amount of natural fluctuation (i.e. in the spring the population increases dramatically with the birth of new pups and declines throughout the summer and fall as mortality is particularly high on young pups). Thus, the IFT summarizes the total number of wolves in the winter at a fairly static or consistent time of year. This allows for comparable year-to-year trends at a time of year that accounts for most mortality and survival of young pups. At this time, the IFT’s best population estimate is that there was a minimum of 97 wolves in the wild as of December 31, 2015. End of year counts for 2016 are currently ongoing and will be completed in February 2017. At the end of December, there were 56 wolves with functioning radio collars that the IFT was actively monitoring. In December, the Bear Wallow Pack was located within their traditional territory in the east central portion of the Apache-Sitgreaves National Forest (ASNF). In December, the Bluestem Pack continued to use their traditional territory in the east central portion of the ASNF. M1382 and F1488 from the Bluestem Pack displayed dispersal behaviour during the month. F1443 continued to travel with m1447, of the Diamond Pack, in New Mexico near the Arizona border. In December, the Elk Horn Pack was located within their traditional territory in the north eastern portion of the ASNF. In December, the Hawks Nest Pack was mostly located within their traditional territory in the north central portion of the ASNF. The IFT documented movements by AM1038 outside of the normal pack territory. Two additional sets of wolf tracks with AM1038 and photos from a remote camera indicate male sub-adults M1383 and m1483 from the Hawks Nest Pack may still be travelling with AM1038. In December, the Hoodoo Pack remained in the north central portion of the ASNF. In December, the Maverick Pack was located within their traditional territory both on the FAIR and ASNF. AM1183 was documented travelling with AF1291. In December, the Panther Creek Pack was located in the east central portion of the ASNF. In December, the Diamond Pack was located in the eastern portion of the FAIR, the northern portion of the ASNF and on private lands north of the ASNF. Sub-adult m1447 continued to be documented travelling with F1443, of the Bluestem Pack, in New Mexico near the Arizona border. In December, the Tsay-o-Ah Pack was located within their traditional territory in the eastern portion of the FAIR. In December, the Baldy Pack was located in the eastern portion of the FAIR and northern portion of the ASNF. During December, the IFT located this pack within its traditional territory in the west central portion of the Gila National Forest (GNF). During December, f1444 was often located near Eagle Peak in NM. During December, the IFT continued to document F1405 (formerly of the Buckalou Pack) travelling within the Lava Pack’s traditional territory in the south eastern portion of the GNF. 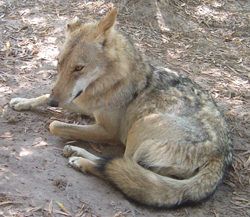 During December, the IFT documented the Leopold Pack within their territory in the northern portion of the Gila Wilderness and southern portion of the GNF. During December, the Luna Pack remained in their traditional territory in the north central portion of the GNF. During December, the Mangas Pack was located within their territory in north western portions of the GNF in New Mexico. 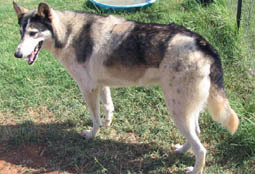 During December, the Prieto Pack was located within their traditional territory in the north central portion of the GNF. There has been dispersal behaviour documented for M1386, m1455, f1456, f1553 and M1552 within the GNF. Remote cameras documented f1553 and M1398 travelling with AF1251 and other uncollared wolves in the Prieto Pack. Photos from remote cameras taken later in the month revealed AF1251 travelling with M1398 and f1553 was travelling with AM1284 of the SBP Pack. 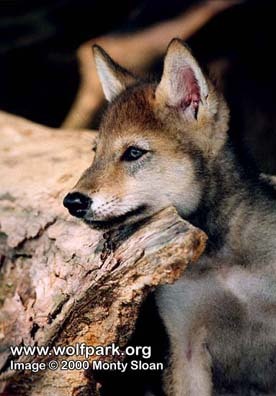 December, the IFT documented the San Mateo Pack within their territory in the north central portion of the GNF. During December, the SBP Pack continued to use their traditional territory in the north central portion of the GNF. AM1284 was documented on remote cameras travelling with f1553 of the Prieto Pack. During December, the IFT documented the Willow Springs Pack within their traditional territory in the north central portion of the GNF. During December, AM1155 was documented travelling within New Mexico. During December, M1398 was documented travelling with AF1251 of the Prieto Pack in the west central portion of the GNF. During December, M1354 was documented travelling in southern portions of the GNF and northern Gila Wilderness. M1354 has been documented travelling with members of the Leopold Pack; M1354 is full siblings to AM1293. There were no documented mortalities in the month of December. During the month of December, there was one confirmed wolf kill and no nuisance reports. On December 14, Wildlife Services investigated two dead calves in Apache County, Arizona. The investigations determined both of the calves were killed by coyotes. On December 18, Wildlife Services investigated a dead calf in Apache County, Arizona. The investigation determined the calf was a confirmed wolf kill. On December 23, Wildlife Services investigated a dead adult cow in Apache County, Arizona. The investigation determined the cow died from unknown causes. On December 7, 2016, the Fish and Wildlife Service met with the New Mexico Department of Game and Fish and the Chairman of the New Mexico State Game Commission to discuss issues regarding the recovery of the Mexican wolf. On December 8, 2016, the Fish and Wildlife Service convened a meeting of the Mexican Wolf Tribal Working Group to discuss the status of recovery planning for the Mexican wolf. On December 14, 2016, the Fish and Wildlife Service presented on Mexican wolves and the Mexican Wolf Recovery program for the Superstition Area Land Trust in Apache Junction. On December 14, 2016 WMAT met with the USDA-Farm Service Agency regarding livestock loss compensation options for Tribal cattle growers. On December 15, 2016, the Fish and Wildlife Service held a community information meeting in Young, Arizona to discuss the status of the Mexican Wolf Recovery Program and listen to issues and concerns raised by the public. The US Forest Service and Arizona Game and Fish Department were in attendance. On December 20, 2016 the Fish and Wildlife Service met with the US Forest Service regarding coordination of Mexican wolf recovery efforts, including the status of NEPA review for release sites in Zone 1 of the expanded Mexican Wolf Experimental Population Area. On December 29, 2016 WMAT presented on Mexican wolf biology and recovery at a community event in Vermont. During December, USFWS volunteer Craig Zurek left the volunteer program for other professional opportunities. Thanks for all your hard work and dedication Craig! Senators from Minnesota, Wisconsin and Wyoming yesterday introduced the “War on Wolves Act,” a companion bill to legislation introduced last week in the House that would strip federal protections from wolves and allow trophy hunting and trapping of the species in four states. “A new congress has resurfaced an old vendetta against imperiled wolves. If this legislation is signed into law, wolves in Wyoming will be subjected to unregulated killing across the vast majority of the state, and even on the borders of Yellowstone National Park numerous legal loopholes will authorize widespread wolf killing. Americans widely hailed the return of wolves to the Northern Rockies two decades ago as a triumph of the Endangered Species Act, but now this ‘War on Wolves Act’ would allow for the same unregulated killing that nearly wiped out the species in the first place. Donald Trump’s tenure in the White House, along with the Republican Party’s reign in Congress, will be an unmitigated disaster for the environment. A witch-hunt is already underway for federal employees who support the science of climate change: https://www.washingtonpost.com/news/powerpost/wp/2016/12/13/energy-dept-rejects-trumps-request-to-name-climate-change-workers-who-remain-worried/. Protections for the 640 million acres of public land you and I own in this country are already being stripped away: http://www.missionmt.com/journal/2017/1/6/115th-congress-immediately-moves-on-land-transfer. Oil and gas extraction on public land is expected to be deregulated (http://www.reuters.com/article/us-usa-congress-zinke-idUSKBN1511DQ), and even coal—a heavily polluting, inefficient energy source the market has rendered obsolete—may see reinvestment: http://www.livescience.com/57535-interior-nominee-zinke-focuses-on-coal.html. A victim of all of those programs, and even the target of specific GOP plans for eradication? The gray wolf, only recently reintroduced to western states to help check overpopulated elk and deer and restore balance to the natural food chain there. On January 17, 2017, Republican Senators introduced a bill nicknamed, “The War on Wolves Act.” If passed S.164 (https://www.congress.gov/bill/115th-congress/senate-bill/164?q=%7B%22search%22%3A%5B%22wolf%22%5D%7D&r=1) will not only remove ESA protections from wolves in Minnesota, Michigan, Wisconsin and Wyoming, but it will also strip citizens of the right to challenge it in court. It’s important to understand that the gray wolf, as a species, is not under threat overall—it’s just specific populations of wolves in certain geographic areas. There are approximately 60,000 wolves living in the wilds of Alaska and Canada. Those will only suffer the general impact of anti-environment policies, accelerated climate change, and habitat loss. It’s the wolf populations reintroduced to the American West that GOP policy is directly targeting. There’s also a population of more than 3,500 gray wolves in and around the Great Lakes—in Wisconsin, Michigan, and Minnesota—that, to a lesser extent, is also threatened. Wolves were first brought back to the West in 1995, when 66 were brought from Canada to Yellowstone National Park and Idaho. 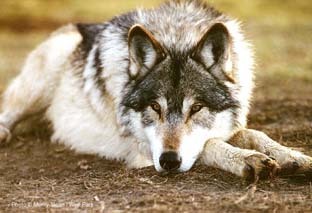 The Northern Rocky Mountain Wolf Recovery Plan (https://www.fws.gov/montanafieldoffice/Endangered_Species/Recovery_and_Mgmt_Plans/Northern_Rocky_Mountain_Gray_Wolf_Recovery_Plan.pdf) also allowed for the natural southern dispersal of other wolf populations from Canada. Since then, the species has spread to Montana, Wyoming, Washington, and Oregon, and now there’s even a single pack living in Northern California. The population of wolves in those states is approaching 1,700 (http://www.defenders.org/gray-wolf/gray-wolves-northern-rockies) —a huge success story for conservationists, albeit one that’s still ongoing. Wolves numbered 2 million on this continent just a couple hundred years ago but were killed off as modern civilization expanded westward. As part of the reintroduction, the burgeoning population of gray wolves in the West was initially protected by the Endangered Species Act. Largely due to the controversial nature of the wolf reintroduction that we’ll get to a little later, however, those protections have variously been repealed, replaced, and repealed again at federal and local levels. Wolf populations have returned to just 10 percent of their original range in the West, making their existence there still tenuous and dependent on some sort of protection. In Yellowstone, for instance, the reintroduction of wolves corrected an imbalance caused by the unchecked expansion of ungulates. Historically, wolves kept the elk population in balance in that area; without them, the elk became too numerous and their movements too static. Grasslands were overgrazed. Willows, cottonwood, and aspen were damaged, destroying the riparian habitats of beavers, songbirds, otters, muskrats, ducks, fish, reptiles, and amphibians. Wolves fixed that. They also checked the population of coyotes, which preyed heavily on small animals. So those populations returned, too, along with the birds of prey that feed on them. The revitalized shrubbery produced more berries, expanding the bear population. 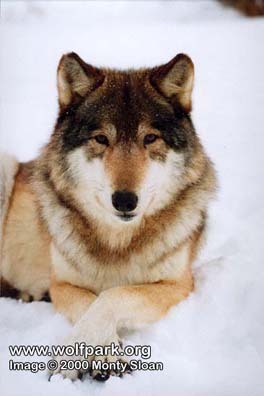 The entire ecosystem benefited and was returned to balance by the mere reintroduction of a handful of wolves. It’s that whole circle of life thing that Elton John once sang about in that Disney movie. Can wolves restore balance to ecosystems elsewhere in their historic range? This study (http://www.cell.com/trends/ecology-evolution/abstract/S0169-5347%2815%2900005-1), published in the scientific journal Trends in Ecology and Evolution, suggests they can, and that they may also enable the successful coexistence of invasive species with their native counterparts. The study argues that allowing the return of apex predators like the wolf may be much cheaper than trying to manage these environments through human methods. Need a dollar amount to define their value? Wolves bring in more than $35 million a year of tourist spending (http://www.georgewright.org/251duffield.pdf) to the Yellowstone area. Local businesses benefit from the mere presence of wolves. Wolves kill and eat stuff. As described above, that’s their job. Things they like to kill and eat include things people like to kill and eat—primarily deer and elk, but also sometimes sheep and cattle; which makes us rivals. Between 1995 and 2005, wolves killed 213 cattle and 173 sheep in Wyoming. The elk population has also fallen since the reintroduction of wolves, though drought, disease, and hunting also play a role. There were 17,000 elk in the park when the reintroduction began. Today there are 4,844 (https://www.nps.gov/yell/learn/nature/elkinfo.htm). Perhaps due to an exaggerated presence of wolves in nursery rhymes and fairy tales, we humans also find them scary. There have been only six documented fatalities (https://en.wikipedia.org/wiki/List_of_wolf_attacks_in_North_America) due to wild wolves (two of which were rabid) in North America in the past 100 years. The number of people killed by wolves pales in comparison to the number of people who die each year due to, say, bee stings (in the United States, that’s 100 people every year, http://www.govexec.com/management/2015/08/bees-are-deadliest-non-human-animals-america-cdc/119328/). Others complain that the loss of livestock hurts ranchers’ livelihood, even though state governments compensate ranchers for any losses. Still others lament the decrease in lucrative guided elk hunts in wolf states, though that has largely been attributed to an increase in out-of-state tag prices. Politicians from rural areas have been pressured to address those unsubstantiated fears of their constituents, but that doesn’t come close to explaining the scale of the GOP’s war on wolves. The 114th Congress (2015–17) introduced 20 bills targeted at eliminating protections for the gray wolf alone. The Center for Biological Diversity (CBD) called it “the most anti-wildlife Congress we’ve ever had.” Until the 115th, that is. Why exhaust so much time and energy attacking a single species? The real answer is that the protections wolves require in the West can run counter to the interests of industrial agriculture businesses and the oil and gas industry, both of which want to operate on land that is currently subject to protection because it’s wolf habitat. The anti-wolf policies being paid for in part by industrial agriculture are actually damaging the small, family-owned farms where problems with wolves killing livestock actually take place and which are often cited as the cause for these policies. It’s been scientifically demonstrated that killing problem wolves actually leads to a direct correlation in increased livestock depredation (http://www.smithsonianmag.com/smart-news/killing-wolves-actually-leads-more-livestock-death-180953605/). The killings disrupt pack order and disperse wolves into new areas, and weakened packs are forced to seek easier prey than the wild animals they’d otherwise focus on. The CBD has tracked donations from those industries to Congress (http://www.biologicaldiversity.org/campaigns/esa_attacks/pdfs/ESAAttacks_09-2016.pdf) and compared them with the number of bills introduced that threaten the Endangered Species Act (ESA). As campaign donations from the oil and gas industry and industrial agriculture have increased, so too have legislative assaults on the ESA. Because wolves have large ranges, the ESA may prevent energy extraction or industrial farming across larger areas than some other species. That explains the focus on removing the wolf’s protections. In 1973, partly motivated by the plight of the bald eagle, President Richard Nixon called on Congress to take action to protect species on the verge of extinction. Congress created the Endangered Species Act (https://en.wikipedia.org/wiki/Endangered_Species_Act_of_1973) by a nearly unanimous vote. Bald eagle populations have since increased from a low of 417 mating pairs to more than 11,000 today. That species was delisted (removed from the ESA’s protections) in 2007, although it remains subject to other protections as our national bird. Today, the ESA protects more than 1,600 endangered plants and animals. Not every animal protected by the ESA is a success story. Due to the precarious nature of many of the species it protects, delistings are infrequent. Take, for instance, the case of the Death Valley pupfish. Only a handful exist in two ponds in Death Valley National Park. Totally isolated, it’s obviously unrealistic to expect that the species will ever expand its population enough that it will ever be considered anything but endangered. Does the pupfish deserve our protection? Environmentalists would say yes. And the law has prevented extinction for 99 percent of the species it protects. But Republicans argue no, because only 1 percent have been rehabilitated. “It has never been used for the rehabilitation of species. It’s been used for control of the land,” argues House National Resources Committee Chairman Rob Bishop (R-Utah). He has stated that he “would love to invalidate” the ESA. The wolf’s protection under the ESA has always been precarious. Due to the politically charged nature of their reintroduction, initial population targets that would trigger a delisting were set incredibly low—just 150 in Idaho, for instance. That didn’t sound like a viable population to wolf advocates, so, since the species started triggering de-listings shortly after its reintroduction, its status has bounced back and forth both nationally and locally in a process of litigation and lawsuits so confusing and asinine (http://www.biologicaldiversity.org/campaigns/gray_wolves/index.html) that I’ll spare you a recap of it here. To the best of my understanding, wolves are currently protected by the ESA (http://www.biologicaldiversity.org/campaigns/gray_wolves/index.html) everywhere in the lower 48 with the exception of Montana, Idaho, and the eastern third of both Washington and Oregon. In large part, those protections are thanks to lawsuits conducted by environmental organizations like the CBD. Acknowledging that, Republican lawmakers have begun introducing anti-wolf laws as riders on essential budget bills, disturbingly including language that prevents legal challenge. Trump has yet to go on the record about either the ESA or wolves, but he does oppose environmental policies that get in the way of drilling. It’s not expected that he’d veto any legislation designed to weaken or repeal the ESA or any riders intended to remove wolf protection. Trump’s nominee for interior secretary, Ryan Zinke, who will manage the U.S. Fish and Wildlife Service, which administers ESA programs, once sent out a Christmas card featuring a dead wolf. Last year, Zinke co-sponsored a bill designed to remove federal protections for wolves. It looks like the anti-wolf, anti-ESA Republican Congress is finally getting both the president it needs to rubber stamp this legislation, combined with an administrator of the Department of the Interior prepared to carry it out. In addition to both that rollback of the ESA and likely direct challenges to the wolf’s inclusion in it, wolves are under threat from the GOP’s plan to steal our public lands. Like all wild animals, wolves need habitat to survive. Development of resource extraction on those lands will further threaten them. In 2012, the Alaska Board of Game passed its heavy-handed management plan which included aerial gunning of wolves to stop the decline of moose populations in two Game Management Units (GMUs) on the Kenai Peninsula. This despite opposition from biologists and the Alaska Department of Fish and Game (ADFG), who explained that the peninsula’s moose population decline was generally due to overharvest and habitat limitations, not increased predation by wolves. Later that year, ADFG’s division of Wildlife Conservation decided to hold off on implementing the Board’s controversial wolf cull to collect the information necessary to make a well-informed management decision. Today, we’re witnessing history repeat itself with the Board proposing to reauthorize its controversial plan to kill all the wolves on a part of the lower Kenai Peninsula despite opposition from the regional Fish and Game Advisory Committee (the Homer Fish and Game Advisory Committee) who objected to the proposal unanimously. If the Board of Game votes to approve the proposal, Proposal 155, at its upcoming meeting scheduled for Jan. 4–7, it would allow the public to hunt and trap wolves, both from the ground and from the air, and would be allowed to conduct its own aerial hunts. The Alaska Board of Game has repeatedly opted for lethal predator control as their management tool of choice despite opposition from the scientific community and public outcry. It’s time that science, not special interest groups, guide responsible wildlife management policy, especially with so much at stake in one of Alaska’s most iconic wild places. Please personalize the letter below. 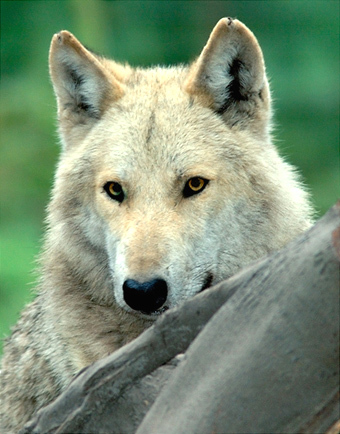 In 2012, the Alaska Board of Game passed its intensive wolf management plan which included aerial gunning of wolves to stop the decline of moose populations in two Game Management Units (GMUs) on the Kenai Peninsula. This despite opposition from biologists and the Alaska Department of Fish and Game’s division of Wildlife Conservation, who explained that the peninsula’s moose population decline was generally due to overharvest and habitat limitations, not increased predation by wolves. The decline of Kenai’s moose population is a complicated and delicate matter that should involve careful consideration of all factors involved. I am counting on the Alaska Department of Fish and Game to listen to science, as the Department did in 2012, and take the time to make a well-informed wildlife management decision that will ensure both sustainable moose and wolf populations. The Homer Fish and Game Advisory Committee objected to the proposal unanimously. Thus, I urge the Dept. to hold off on implementing the Board’s controversial wolf cull to collect the information necessary to make a well-informed management decision. 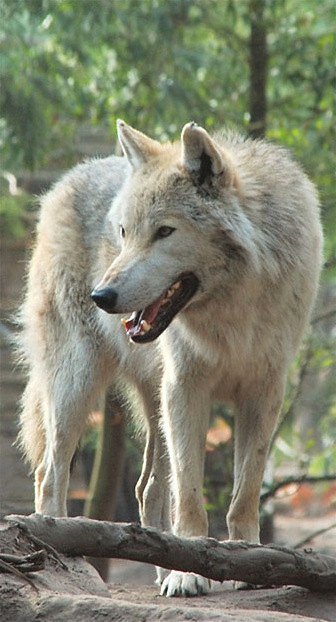 After nearly 50 years of protection, endangered Italian wolves might be slaughtered soon. Despite a lack of recent scientific population estimates, the Italian Minister of Environmental Affairs is determined to kill off 5% of the endangered wolf population. The only reason the Italian government wants to kill endangered wolves is because farmers and ranchers blame them for killing their animals. Outrageously, there are no efforts to humanely protect livestock with electric fences or trained dogs â€“ even though fences and dogs have proven effective elsewhere in Europe. Even worse, when pressed, farmers admit that feral dogs are far more lethal to their livestock than wolves. But wolves get the blame. Rhinos are in a desperate need of help, but the question remains how to help? It has only been a week ago that we launched a Crowd Funding campaign to help bring Nellie (a poaching survivor) home to an intensive protection zone where she can give birth and live life while being protected against any further poaching attempts. South Africa is facing the worst conservation crisis in our history and rhinos continue to be butchered at an unprecedented rate. Their numbers are plummeting and the crisis is very real. The past weekend two orphaned rhino calves were attacked right at the home of the farmer hand rearing them after poachers slaughtered their mothers. From the accompanying photographs, you will be able to see just how terrible their suffering must be. Disturbingly these incidents are quite regular and increasingly many other animals suffer a similar fate. There is no question that there is a massive and growing crisis! Taking all the factors into consideration, including all the amazing work being done by so many to curb rhino poaching and to bring about change with education and awareness, time unfortunately is running out for rhinos. The only sure-thing on the short-term, to end the terribly cruelty and suffering is to set-up private intensive protection zones and bring as many rhinos as possible into these protected areas; be they poaching survivors, orphans, or unwanted rhinos. Two weeks ago, a local man was arrested and charged for contravening our conservation laws pertaining to rhinos. This individual purchased unwanted rhinos from their owners, relocated the poor animals to his farm and summarily executed them. Their horns were removed and only certain body part where recovered by the authorities. As the investigation continues an increasing number of rhino carcasses is being unearthed revealing the callous murder of many rhinos for commercial gain. What this incident illustrates without a doubt is that no rhino is safe anymore and if they fall into the wrong hands the animals will die. Poachers coming under cover of darkness are not the only enemy these unfortunate creatures have to fear. Unfortunately, the world remains slow to respond and where help is provided, in some instances is not used effectively to end rhino poaching. There is also increasing donor fatigue as people, frustrated and saddened by the ongoing slaughter simply turn their backs on the rhinos and walk away. Many people feel that there is nothing to be done anymore to save the species, but we beg you to please reconsider and not desert South Africa’s rhinos! They are just too special to lose. With your help, we intend finding individual rhinos that need our help on a priority basis and where possible we intend buying these rhinos and relocating them to Intensive Protection Zones at undisclosed locations as a matter of urgency. It is pretty much like throwing that one star fish at a time, back into the ocean, but we feel that with your support and understanding we will inspire many more people to share our dream of seeing rhinos living wild and in safety for many years to come. Steve Jobs once said; that it is the people that are crazy enough to believe they can change the world, that actually do. By leading and proving that the concept is working well, we believe others will follow and use the example to establish more PIPZ’s that will, over the next couple of years, ensure that an increasing number of rhinos will be spared a brutal death and ensure that the genetic viability of the species is protected for future generations. Thanks for taking the time to read this and we hope and trust that Nellie’s story will inspire you to help bring her to safety. To Donate towards the Save Nellie campaign please click on this link or email louise@sanwild.org for more details or for the banking details. To help a very special rhino cow, called Nellie, that survived a brutal poaching incident we will be giving you the opportunity to make a donation towards her rescue and enter a silent auction for two respective Accommodation Vouchers. Beach House (Saldanha Bay) Western Cape South Africa 4 nights 5 days 4 people self-catering. AUCTION AMOUNTS ON BOTH DESTINATIONS OPEN AT $100. In other words the amount you donate may not be less than $100. ABSA, Danie Joubert Street, Tzaneen,0850. The highest offer (donation) received by close of business on Wednesday the 15th February 2017 on either of the two available destinations will be awarded the respective accommodation voucher for either the Beach House or Bukisa Camp. A single decision by President Donald Trump has undone years of fighting to stop the dangerous Keystone XL and Dakota Access Pipelines from being built, hampering progress for short-term profits and environmental destruction. These combined projects would result in 2,279 miles of potentially leaking pipelines, contaminating everything in their path: rivers, forests, underground aquifers — everything. By approving the advancement of these projects, President Trump blatantly denies the link between oil and climate change, and ignores the damage that the pipelines will inevitably spread across the country. While it is true that the American economy depends on oil, now is the time to act on the fact that we cannot build a future on oil without sacrificing our farmlands, forests, water sources and climate. Please sign our petition today to implore President Trump to put an end to the Dakota Access and Keystone XL pipelines — investing in viable green-energy and the sustainable jobs that accompany that industry instead. Please go to: http://therainforestsite.greatergood.com/clickToGive/trs/petition/dakota-keystone-pipelines/?utm_source=trs-ta-enviro&utm_medium=email&utm_term=01302017&utm_content=takeaction-f&utm_campaign=dakota-keystone-pipelines&origin=ETE_013017_dakota-keystone-pipelines_f&oidp=0x2bd25baa4cd41335c0a82937 to sign the petition. Urgent appeal for animals, like humans, to be legally recognized as “sentient beings”. In 2015, France, New Zealand and the province of Quebec, Canada recognized animals as sentient beings. I believe South Africa should lead the way as the first African country to do the same. To recognise that animals are sentient is to acknowledge clearly that they are able to experience both positive and negative emotions, including pain, distress and emotional trauma. This would make hunting of wild animals, animal testing and capture or ill treatment, illegal and would afford animals the right not to be owned as property. This would go a long way towards ensuring decent and humane housing and treatment of animals by individuals, breeders and retailers. Currently the requirements for the care and housing of animals are minimal, and inadequately enforced. It really is time we South Africans climb aboard and stand up for our fellow non human beings, who give us so much and enrich our lives in so many ways. Trophy hunting is a disgusting hobby wherein people pay large sums of money to slaughter and then stuff and bring home the bodies of animals, many of whom are at risk of becoming extinct. Each year, over 126,000 wildlife trophies are imported to the U.S. Most trophies are iconic, beloved mega fauna: African elephants, African lions, African leopards, southern white rhinos, and African buffalo. Over 1,000 different beautiful species have been killed and turned into trophies. Between 2005 and 2014, over 1.26 million in total were brought in. The website is full of images of people standing next to lifeless, bloodied animal bodies. Some are smiling proudly, others hold an emotionless face. But all share a few things in common: they spent a lot of money to kill animals, and they love doing it. Argentina: A baby dolphin died for an Instagram photo. Tourists in San Bernardo, Argentina, dragged the baby dolphin out of the ocean after he swam close to shore. A video shows a crowd taking pictures and touching the animal, who lay in just a few inches of water. Now, the baby dolphin is dead. This isn’t the first time tourists have killed wildlife in the area, either. Last February, tourists on a beach in Santa Teresita killed an endangered baby dolphin after pulling it out of the water. Tourists passed the dolphin around for photos until it died of dehydration. 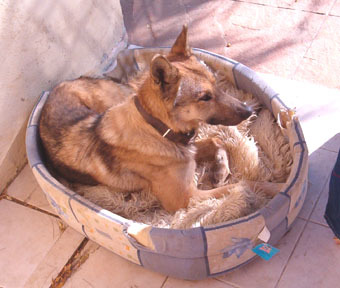 Care2 petition author Paige D. argues that animals in Argentina are particularly vulnerable to abuse because the country does not support the Universal Declaration on Animal Welfare, an inter-governmental agreement to reduce animal suffering and promote animal welfare standards. In fact, World Animal Protection, an animal welfare charity, gives the country an overall D rating in the protection of animals. The fight over the re-introduction of wolves is headed for new heights. More than 83,000 people have already signed an Internet petition against the shooting of a wolf in the Oberlausitz (Lower Saxony) that seems to have lost almost all shyness of humans. Saxony’s authorities have decided to have the so-called problem wolf „Pumpak“ killed by a bullet; will he have to share the same fate as Bruno, the problem bear of Bavaria? 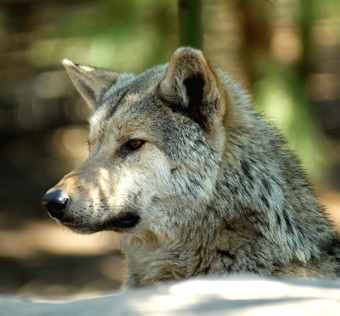 „We are a group of people who are fighting for the protection of wolves in Germany“; these are the introductory words of an Internet petition (https://www.change.org/p/wolf-pumpak-muss-weiterleben) that has the goal of saving the life of Pumpak, a wolf living in the area of Rietschen. He was seen on numerous occasions at night in the village searching for food in compost heaps, seemingly unperturbed by the presence of humans. When people approached him he calmly trotted back into the nearby pine forest. Sometimes he would watch from a safe distance how the frightened two-legged ones reacted to him by retreating into the safety of their homes. He is still a young wolf, and youngsters are curious. Wolves are very shy and will usually disappear into thin air before humans even spot them. But the young male wolf of Rietschen seems to be an exception to the rule. 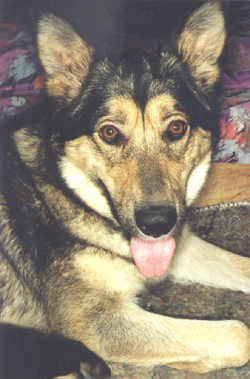 It is possible that he was fed by humans as a pup when he lived on the banks of the German/Polish border river Neisse. Pumpak seems to love cake, because he tried to steal a freshly baked one from a windowsill where it had been placed for cooling down. His curiosity, his searching for food in gardens, and the fear of humans of this legendary predator make Pumpak a problem wolf for the authorities. The district magistrate’s office Görlitz has declared the two-year old wolf free to be shot, and the Saxony Ministry for Environmental Affairs has also given the “green light” for shooting him in the Polish border area. Nature conservationists and animal lovers are shocked about the order to shoot and kill him, but some huntsmen welcome the decision, because a hardheaded fight has ensued since wolves have emigrated from Poland and re-occupied territory after territory. A similar scenario played out with a bear in Bavaria eleven years ago. Bruno the Bear had become a “problem” when after waking from hibernation, he chose Bavaria as his new hunting territory. He was the first bear there in 170 years and his presence was obvious in that he made a meal of six sheep. Again and again Bruno was seen in the close vicinity of villages; he broke into a pigsty, and he cleaned out a chicken pen on another occasion. All people saw of him was a fleeing shadow, and he divided Germany into camps of supporters and opponents. And like back then, the order to shoot and kill Bruno was causing the same storm of indignation as the one now to shoot and kill Pumpak. More than 83,000 people have already signed the Internet petition that is meant to prevent the so-called “removal of the wolf“. With the term “removal“, authorities describe the killing of wild animals exhibiting an abnormal behavior. A wolf can be removed if, e.g., he repeatedly attacks flocks of sheep, ignores protective fences or, like in Pumpak’s case, loses its natural shyness of humans. But wolf welfare activists are not only active on the Internet; more than 100 e-mails have been received by the Saxony Ministry for Environmental Affairs that are in favour of Pumpak. Even in Berlin, the Federal Minister of Environmental Affairs, Barbara Hendricks, has to deal with the so-called problem wolf and answer questions. She refers to the decision of the Dresden authorities by stating that the decision to remove the wolf has been made by experts who have the necessary knowledge about nature conservation and legal interests. Therefore the decision by the authorities is not really suitable for a public referendum, said Frank Meyer, press speaker for the Ministry of Environmental Affairs, Saxony. The huntsmen of the Oberlausitz are watching the fight over problem wolf Pumpak with great interest. For years they have been demanding orders to shoot and kill wolves that cause problems. One huntsman says, however, that Pumpak is actually not a problem yet, but he could become one if he, at a later stage, formed a pack and taught his experiences to his offspring, so that they would also lose their shyness of humans. Brigitte Sommer, who initiated the Internet petition, does not accept this statement without counter-arguing that there will always be curious young wolves that investigate their territory and learn from experience. She refers to a young wolf that strolled through villages around Oldenburg. If every curious young wolf is seen as a problem and is therefore shot and killed, it would be catastrophic, she says. She is trying for more than 100,000 signatures to make it clear to the provincial government that there is a huge public interest in nature, wild animals, and wolves in particular, and that a small lobby of politicians, huntsmen and farmers tries to accomplish their own goals against the will of the rest of the public, and that cannot be, she says. Meanwhile The Green Party wants to know from the Saxon state government who has been chosen to kill the problem wolf in the Oberlausitz. And a private person is said to have applied for a temporary interdict to prevent shooting Pumpak. Since the Rietschen wolf has officially been handed the death sentence, Pumpak has gone missing. For more than a week, the two-year old predator hasn’t been seen. Maybe he has moved back to Poland across the Neisse into the Görlitzer Heide, or he is travelling through the neighbouring army trainings ground. By the way, the Görlitz district council’s office would not reveal who will be the one to train the rifle at and shoot Pumpak and keep him as a trophy afterwards. Without the support of all the people who signed this petition this might not have been possible, and therefore many, many Thanks to everybody. The order to shoot Pumpak will expire on 19 February, the MDR radio and TV station announced this morning, although there is no official confirmation from the provincial government yet. 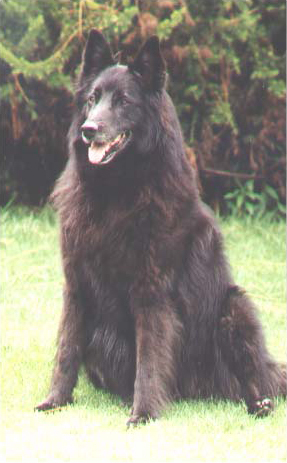 Darkstorm is an Alpha wolf that was killed 4 years ago while saving another wolf in his pack, and carried off into the forest by an injured bear that was slowly dying from a wound caused by Darkstorm… What made Darkstorm so unique from the other wolves? What made him special? Well sit back and listen to the story of Darkstorm’s Life…. Darkstorm was born under the sign of the shadow… he had abilities that already would made another Alpha wolf bow to him as a pup! He was able to take down caribou and other large animals as a teen wolf… he could talk with nature itself… he was known as Natures Child. 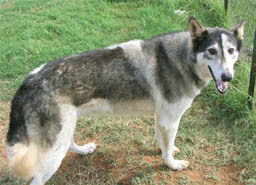 Darkstorm lost his mother around the time he was a pup, and his father, an alpha wolf at the time, blamed him for his love’s death. So he banned Darkstorm far from his homeland. Darkstorm was raised by many different animals and learned to communicate with the wind and earth… he could easily tell were game was by the feel of the earth… and the smell of the wind… he could tell what type of storm was brewing by the way the earth shifted. Back then, Darkstorm was not his name, it normally was Fang, but I’ll tell you how he earned the name Darkstorm. One day, Fang was out running with the other animals to see who was the fastest. Darkstorm easily won, but what scared the animals was that when he would run, he left a path of destruction behind him! He was so dark and fast he was like a DARK STORM!!! So he earned the name Darkstorm. When he left the new home he lived in for many years, he decided it was time to go back to his home and claim the rightful position as the new Alpha Wolf; but doing so he would have to challenge his Father! Darkstorm crossed many green fields and rocky mountains till he was home. The wolves saw Darkstorm enter and were ready to attack until they smelled his scent.. it was exactly like his father’s, Tundra. Darkstorm walked in between the wolves until he reached his father. When he saw his father Darkstorm totally changed; his eyes were no longer blue, but now forever a green-red, which showed the hatred he had for his father, and his black coat had a few white stripes showing now. His teeth a little more sharper and his claws a little more jagged, sharp as ice cycles in a cave. Darkstorm had changed and knew that the only way for him to become the new Alpha wolf, was to kill his father, even though it was forbidden. Darkstorm got into an attack position and leaped toward Tundra to begin the combat…..
Darkstorm nimbly leaped onto the boulder, his slitted amber eyes never leaving his opponent’s. His misty charcoal coat rippled in the twilight breeze as a low growl escaped his tightened throat. A set of silvery fangs were bared, tinted with a thin shade of dark blood. He suddenly pivoted, and sprang, using every ounce of thick muscle in his legs. He launched himself towards Silverfeet and sunk his teeth into the alpha’s tough flank, ripping savagely at the wolf’s flesh, spraying deep red about the granite rock. Silverfeet flung himself against his challenger, fighting off Darkstorm with both tooth and claw. Darkstorm snarled, and shook away his attacker, then lunged at him again. The alpha crumpled, dark blood staining his silvery fur. 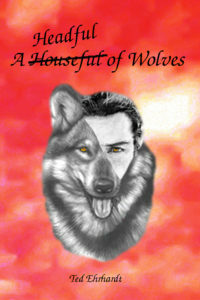 His breath slowed, and then stopped, and the wolf lay motionless, the constant pounding of his heart now silent. Darkstorm raised his head, staring at the pack as they were at him. They were dumfounded at the sudden and short death of their leader, and now lowered their eyes and heads submissively to their new alpha, now standing proud in the rising fire of the sun. He was their future. Darkstorm stood tall in the frigid waters of the creek, upon the cliffs from which careened the mighty East Ridge Falls. The wind snapped icily at his skin, and tossed his dark fur like angry fire. He bent his head, and thirstily lapped up the cold water, which slid pleasantly down his dry throat. 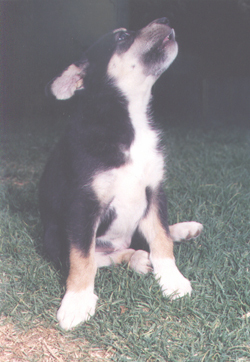 He then gazed upwards, staring at the cloudless skies. Below the cliffs lay a sea of forest, and beyond that, a golden tundra. It was early spring, and only two winters back he had challenged and caused the death of the alpha, his father Tundra, of the Whitehawk Creek Pack, the pack that he now held responsibility for. He knew from his previous pack, the West Ridge Pack, that it was against the wolf code to kill in a challenge – or even for a pack-less wolf to challenge an alpha. Yet he had ignored this – he had hated and dismissed all law of the wolf then, as it was what had affected his position as a beta in West Ridge, and placed him without family or pack. 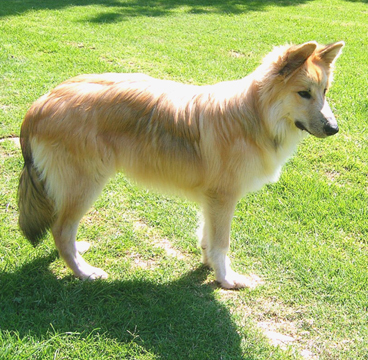 Russet came bounding towards him, his cinnamon coat gleaming and glossy in the sunlight. Darkstorm could tell straight away from the excited wags of the wolf’s tail and the spark in his pale brown eyes that they were here – pups! 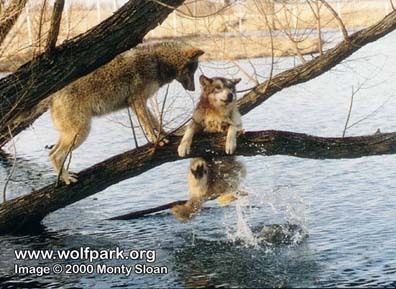 The two wolves streamed down the cliff-side, eagerly dodging the trees and following the scent path to their pack den. 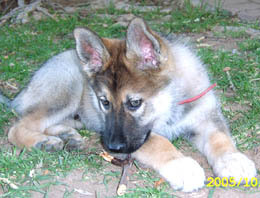 The alpha barked happily, and his pack welcomed him into the den, followed by Russet. He saw Raven, his mate, laying on her side, and her four pups wriggling and fighting beside her. Their tiny eyes were sealed shut, and their teeth were tiny but sharp. They were all black, like he and raven, but two had splotches of white on their faces and stomachs. 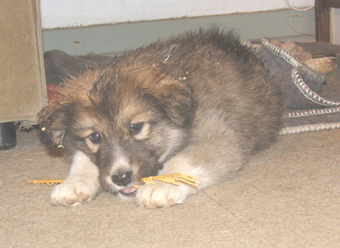 One of the white-masked pups had a white tip on its tail, which was thumping the ground enthusiastically. Raven glanced at Darkstorm with tired eyes, and then her heavy eyelids shut from exhaustion. He nudged her with his nose, and left the den. Skysong stood in the shallow depths of Whitehawk Creek, feeling the wind blow through her fur and giving her a carefree, spirited attitude. She raced along the creek, her paws sending cold water splashing up her dark coat. Her pale green eyes scanned the jagged horizon, watching the sun rise, showering sparks of gold upon the tundra. Skysong walked ashore, shaking the water off her night-black fur. She paused for a moment, sensing a sort of danger unknown to her. She sniffed the air, and suddenly cried out at an agonizing pain in her back muscles. Skysong tried to free herself from the bear’s weight, then snarling and clawing at its face and eyes, but the bear remained unharmed. The female wolf knew she was as good as dead. She tried to helplessly shake it off, but its teeth were firmly sunk into her back. The wolf cried out for help from Blackfire, her brother, as the great bear prepared for its fatal bit to her jugular vein, but he only yelped at her sorrowfully, then turning and running to the forest in the opposite direction. Suddenly she heard the bear roar with pain and rage, and it let go of Skysong, turning to fight Darkstorm, who had then leaped upon the bear’s back and sunk his razor-sharp teeth into the bear’s massive neck muscle. Though the attack wasn’t enough to cause the bear serious harm, it distracted it long enough so that Skysong could drag herself to a hiding place. She watched, suffering from untold pain and unable to help, as the bear lifted her sire with its enormous forepaws and delivered the fatal bite to Darkstorm. The alpha convulsed in the bear’s tight grip, and then went limp as the bear dragged the wolf away. Skysong felt her strength ebbing away from her as her dripping blood formed a dark crimson path behind her as she made her way slowly to the den. Darkstorm had died in order to save her life – a sacrifice she wouldn’t soon forget. I have previously made mention of Ascar II being a little bully who loves to order Kajack II around and play the big boss. Now, lately Ascar was becoming so aggressive towards Kajack over no issues at all, that the latter was screaming for his life (it seemed) several times a day every day. He ended up with lots of small bits and pieces of scurf all over his face. Whatever we tried only resulted in Ascar taking out his frustration over his being reprimanded on Kajack. Taima, on the other hand, didn’t like our interfering at all and growled and even snapped at Ted a couple of times. Something had to happen, however, before Kajack would possibly lose an eye, for example. One day two weeks ago, it was particularly bad, and Ted couldn’t stand it anymore. While I was screaming at Ascar out of frustration, telling him we would oust and bring him back to where he came from, Ted grabbed a leash with a choke chain, slipped it over Ascar’s head, lifted him off Kajack, and dragged him out the back door. He fiddled the leash through the burglar bars of the door from the outside and pinned him against it from the inside. After a very short while Ascar became completely catatonic, which Ted knew to be a sign of him capitulating unconditionally. He held him there for a moment longer to make sure, then unfastened the chain. Ascar trotted off while Ted was torn between hating himself for having to be so drastic and fury over Ascar’s brutal mobbing of the most pacific pack member in the house. A short while later, Ascar could be seen trying to find a place where to jump the fence in order to get back into the house (the connecting gate was closed). We ignored him for half an hour and even closed the front door in case he should manage to get to the front yard. Ted eventually went out to have a talk with Ascar and meditate over the problem. He first addressed him and tried to tell him where his behaviour would end him up. All he got in response was “get in, get in, get to Kajack”. Ted eventually realized that Ascar needed a teacher. And because there was no four-legged dominant male that could teach him at our place, he realised he would have to take on this role. Some half-hour later, Ted and Ascar walked back to the still-closed backdoor. First, Ascar just wanted to get to Kajack on the inside, but when Ted didn’t let him, he sat down next to him and looked at him. Ted told him to apologize, and now the most unexpected things started to happen. Ascar got up and apologized to Ted, who told him that he must apologize to Kajack and true enough, he got up once more and started to wash Kajack’s face and ears through the bars. Ted praised him over the blue moon, opened the door, and he continued to wash Kajack, then Taima, then me, and Ted some more. He laid down next to Kajack and has been a new animal ever since. Whenever he gets too rough with Kajack (he can of course play with him, even wildly), Ted or I just have to touch the leash and make a small noise with the chain, and all aggression will cease this instant. We now even leave the set lying on the living room table so that he is reminded of it every time he walks past it. He will often sniff and touch it, and then sit down in front of either of us so that we can acknowledge him for his good behaviour. He will now also listen most of the time if we just tell him to be a little gentler or stop mobbing him. I was a bit worried at first that Ascar would now be scared of the leash and chain, but it is most curious that he doesn’t show any fear of them. When Ted picks it up, he sometimes even tries to put his head through the loop. Not that we are complaining, mind you. Subduing a canine as Ted did is nothing that could be recommend to anybody, for it is not exactly not dangerous to both the handler and the animal. However, in the above scenario, there was no way about it, and now we are glad that Ted mustered the courage. It just could not continue like it was.